The latest document release by Edward Snowden revealed the industrial-scale cyber-espionage operation of China to learn the secrets of Australia's next front-line fighter aircraft – the US-built F-35 Joint Strike Fighter (JSF). Chinese spies stole "many terabytes of data" about the design of Australia’s Lockheed Martin F-35 Lightning II JSF, according to top secret documents disclosed by former US National Security Agency intelligence contractor Edward Snowden to German magazine Der Spiegel. 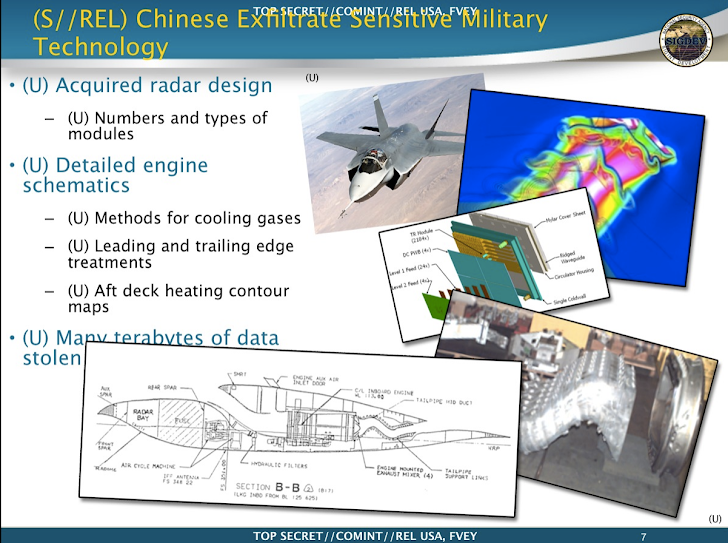 Chinese spies allegedly stole as much as 50 terabytes of data, including the details of the fighter’s radar systems, engine schematics, "aft deck heating contour maps," designs to cool exhaust gases and the method the jet uses to track targets. So far, the F-35 Lightning II JSF is the most expensive defence project in the US history. The fighter aircraft, manufactured by US-based Lockheed Martin, was developed at a cost of around $400 billion (£230 billion). Beijing likely used the stolen information from American intelligence through espionage to help develop its latest "fifth-generation" fighters, military experts told the Morning Herald. The Chengdu J-20 and China’s most advanced fighter jet, the Shenyang J-31 Falcon Hawk, have been extensively influenced by design information stolen from the US. The Falcon Hawk has roughly the same appearance as the F-35. The disclosed documents reportedly confirm that the Australian government was informed of the cyber-espionage and aware of the "serious damage" caused due to the breach relating to development of the F-35 JSF. The main data breach was believed to have taken place at the prime contractor, Lockheed Martin, in 2007, before orders for the F-35 Lightning II placed by Australia and Japan. However, in June 2013, Defense Department acquisitions chief Frank Kendall told the US Senate that he was "reasonably confident" that F-35 data was now better protected. The Snowden documents also revealed the NSA spying operation on China’s espionage agencies. According to the documents, the NSA hacked into the computer of a senior Chinese military official and stole information about Chinese intelligence targets in the US government and other foreign governments. 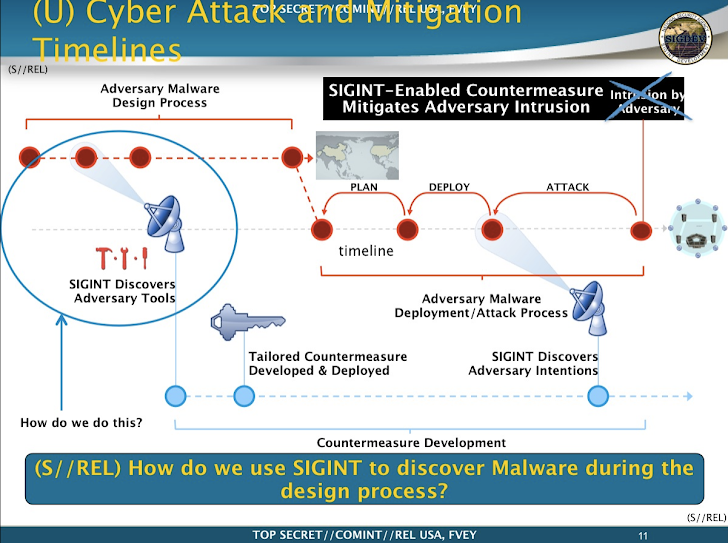 Among the sensitive military technologies and data stolen included in the breach was information relating to the B-2 stealth bomber; the F-22 Raptor stealth fighter; nuclear submarine and naval air-defence missile designs; and tens of thousands of military personnel records.